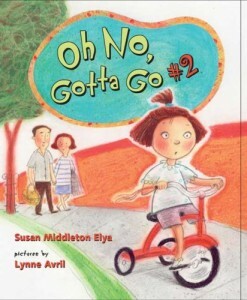 If you have never read books by Susan Middleton Elya you are missing out! Her books are so great and my 2nd grade students absolutely adore them and keep asking me to read them more! Two of their favorites are Oh no! Gotta GO! and Oh no! 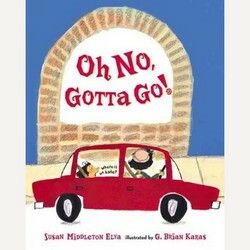 Gotta Go #2!. All of her books are so great! She is not a native Spanish-speaker, but writes in English with rhyming Spanish words! Both books above are about a little girl with a baño emergency. They love them! I just do not have time to read ALL of her LIBROS with my 2nd graders. I wrote her an email in hopes that she might Skype with me and my 2nd graders so that they can ask questions and express their love and adoration for her books! One of my students, who I call Guillermo was even so inspired that he decided to write his VERY OWN libro (book). Here it is! Click to open or download! Guillermo’s Sequel to Oh No. Gotta Go!